The 12 Powerful Healing Powers in Volcano Ash. This May surprise you. People have been using aged volcano ash for thousands of years for its healing benefits. 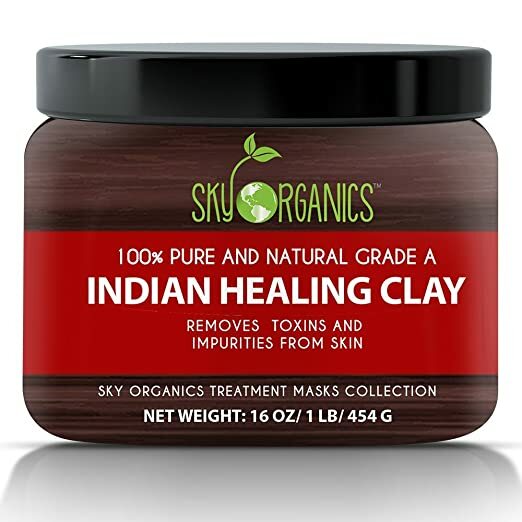 The amazing detoxing abilities of this powerful “healing clay” is loaded with minerals including calcium, copper, magnesium, silica, sodium, iron, and potassium. Along with having nearly 70 trace elements. Bentonite clay is almost a nutrient-dense, all natural multivitamin and it can be used internally along with externally. Bentonite clay has been a staple in my home for years and I keep it stored in herbal cabinet along with my medicine chest. I’ve used it both internally and externally for many different reason. The name comes from the largest known deposit of Bentonite Clay located in Fort Benton, Wyoming. (Detoxification) Pulls out harmful toxins from the body. 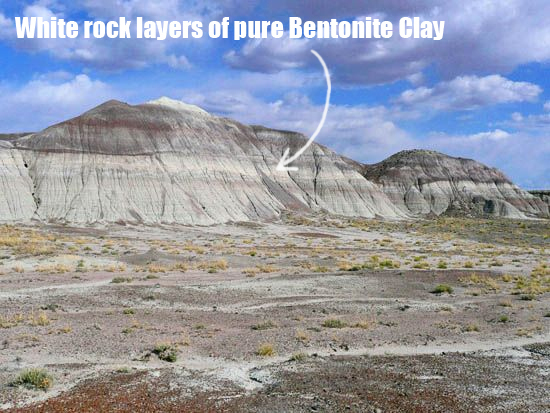 Bentonite clay is very sensitive to metal. Don’t allow it to come into contact with it or it will lose its healing properties. I will mix my clay with water in a glass jar with a plastic lid either by shaking well or using a plastic whisk. If you take it internally, do not take within an hour of food for best results and do not take within 2 hours of medications or supplements as it might reduce the effectiveness. 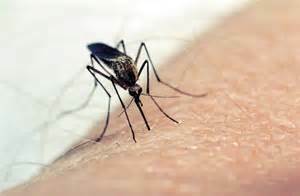 Check with your doctor before using if you have any medical condition. Mix 2-3 tablespoons of clay powder with an equal amount of filtered water or apple cider vinegar. Apply the clay mixture to your moistened hair, leave it on for five minutes and then rinse thoroughly. You can also rinse out the clay hair mask with an apple cider vinegar rinse to help avoid drying. Bentonite clay tightens and tones the skin, and its absorbing properties can draw out impurities from deep within. To make a facial mask, mix 2-3 tablespoons of clay powder with equal amounts water or apple cider vinegar or witch hazel. Evenly apply the thick layer to the face, and allow it to dry for about 10-15 minutes. It will feel tight and slightly tingly. Rinse with warm water and pat dry. For best results, use once or twice a week. 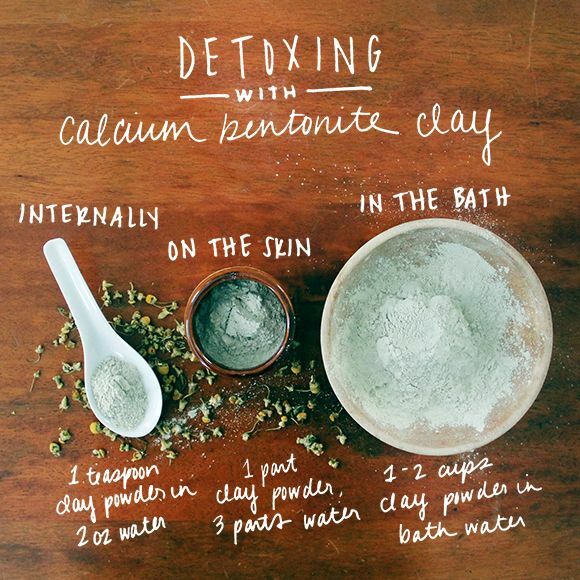 1/4 cup of Bentonite Clay to a bath for a relaxing detox bath that softens skin. Similar to masks used at the spa, a clay mask made from Bentonite draws excess oils and debris to the surface of your skin, boosts circulation to tighten the skin and stimulate blood flow, and whisks away dead skin cells that can clog pores. Mix Bentonite Clay with water to make a paste, apply to the face, and allow to dry for 20 minutes. Wash off gently and pat dry. If any spots of clay are left on your skin after rinsing, rub gently with a wash cloth. Bentonite helps to absorb moisture from your underarms and eliminate body odor without causing irritation. Try this DIY natural deodorant solid that’s incredibly easy to make. Coconut oil helps this deodorant to glide on easily. Baking soda helps to absorb moisture and odors naturally. Beeswax is moisturizing and helps to keep this natural deodorant in a solid form that makes it easy to travel. Arrowroot powder is made from the roots of the arrowroot plant, which is native to South America. It helps to keep skin dry and wick away moisture. Bentonite clay helps to absorb moisture from your underarms and eliminate body odor without causing irritation. Learn more about the health uses for bentonite clay. In a double boiler, add coconut oil, shea butter and beeswax. Bring to a boil on medium heat and stir until beeswax and shea butter are in liquid form. Remove from heat, then add baking soda, bentonite clay, arrowroot powder, and essential oils. Mix well. Pour liquid mixture into a silicone muffin mold or a 5 oz. container, such an empty deodorant container. Let cool down to solidify for about 2-3 hours. The beeswax will help to keep it in solid form to use as a traditional deodorant. If using a silicone mold, pop out the DIY natural deodorant solids and store in a reusable container or bag to use at home or on the go. Makes about 3 deodorant bars. Mix the clay and water until it becomes has a paste consistency, next apply it to the burn or cut. 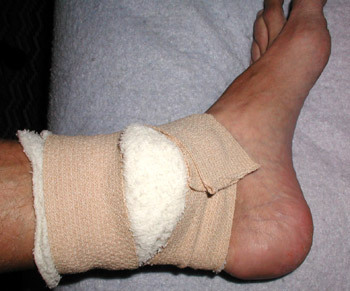 Wrap it in plastic wrap or wet gauze after applying. Change the bandages and paste every two hours as needed. Mix 1-2 teaspoons of clay into a full glass of water, let it soak for at least 30 minutes, and then drink. Clay is said to draw out pathogenic viruses, herbicides and pesticides, heavy metals and radioactive substances. To draw out these toxins, drink 1 teaspoon of bentonite clay powder mixed with 16 oz’s of water . 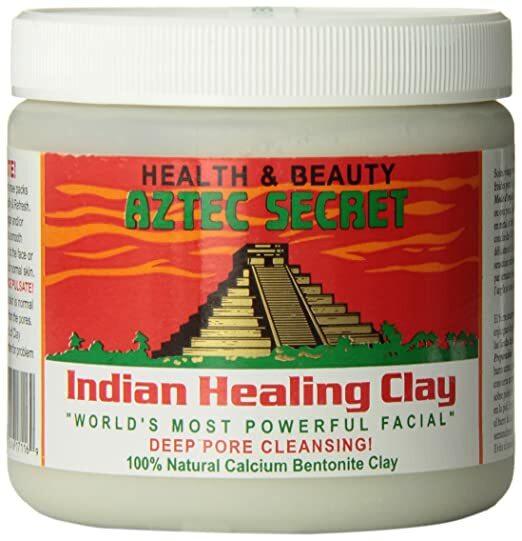 Bentonite clay can be used on skin issues such as insect bites or chicken pox. Mix a small amount of clay powder and water into a paste, and apply to the bothered area. Let dry, and leave it on skin until it dries. Gently rinse off any residue with water. The detoxification properties speaks for themselves and studies are now confirming the wisdom in this powerful clay. its use. It has been shown to be effective against candida – the primary cause of yeast rashes – as well as a variety of bacteria, including MRSA. (Source) Plain Bentonite Clay makes a very soothing baby powder for use when there is infection or redness. It can also be made into a clay “mask” to help speed recovery in this area. 1/2 cup shea butter (I prefer to use raw organic shea because conventional shea may be extracted with harsh solvents such as hexane. 2 tablespoons coconut oil (Extra virgin has demonstrated the strongest antimicrobial properties, but expeller-pressed will work fine as well. 7 drops chamomile essential oil, optional. Can substitute tea tree if yeast/bacteria is suspected. 1. In a double boiler, gently melt shea butter over low heat. When almost melted, stir in coconut oil and continue to heat until fully melted. 2. Remove from heat and allow mixture to return to a semi-solid state. Place mixture in fridge if you’d like to speed this process up. Add non-nano zinc or bentonite clay and optional essential oils (if desired). Mix thoroughly. Note for cloth diapering mamas: This powder is compatible with cloth dipes. 2 tablespoons arrowroot powder, optional. Makes the texture more fine. Powder lightly at every diaper change when a rash is active. Powders of any kind are not recommended for children under three months because they can inhale particles into their very sensitive lungs. Use only in older babies. For pets that are sick, vomiting or showing signs of illness, you can add Bentonite to their water or mix and give orally with a dropper or syringe without the needle. 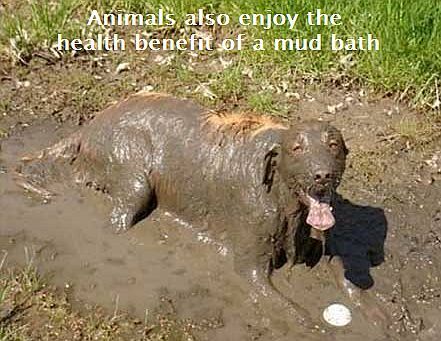 I have seen several cases where this helped pets recover quickly from what could otherwise have been serious illnesses. Please google for the correct dosage per weight of the dog and always check with your veterinarian before changing your dogs diet. 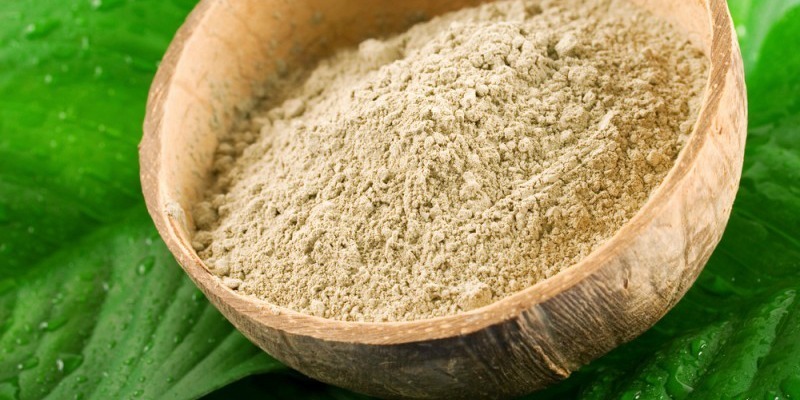 Bentonite Clay Powder so indispensable is its ability to elevate your body’s pH. The Bentonite will absorb some of the hydrogen from your cells, enabling them to fill that space with the oxygen you so dearly need. Headaches, allergic reactions, fatigue, sinus infection and many other health ailments are the result of toxin buildup in the body’s organs. To cleanse your internal organs, you can add a couple teaspoons of clay powder to a smoothie or your favorite food. Be sure to stay hydrated or take it with fiber to help it pass through your digestive system quickly. Make sure you purchase food grade bentonite clay and not sodium bentonite clay. I once made the mistake of purchasing a brand that was perfect for masks and detox baths but not for internal use. Yes, I called the poison control center. 1. Sodium Bentonite, when activated by water, can swell up to six times its size and has a electromagnetic properties. This makes it very absorbent and helpful for drawing out toxins. 2. Calcium Bentonite particles are smaller compared to Sodium Bentonite, which makes it more effective for remineralizing than drawing toxins out of the skin. These small particles can pass through the colon wall into the bloodstream where it gets rid of toxins and leaves minerals behind. Also bentonite clay may not be appropriate for consumption for children and pregnant women due to it could contains trace amounts of lead . Don’t allow the clay to come into contact with anything medal or it will be stripped of its powerful healing benefits. Keep in mind that clay may be an irritant to the lungs for some people, so individuals should avoid inhaling it. *The FDA is warning consumers to not purchase “Bentonite Me Baby” by Alikay Naturals because of a potential lead poisoning risk, as this product apparently has unsafe levels of lead. The clay pulls water away form your colon as it passes through your intestine. 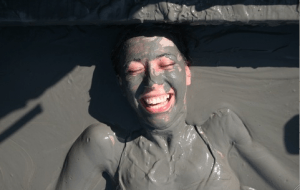 For this reason you can experience constipation with Bentonite clay when you first start using it. Make sure you are drinking plenty of water. Also, listen to your body. Once you start introducing the clay to your body you can experience heavy detox symptoms. Cut your dosein half if you getting headaches. The clay can absorb medications. 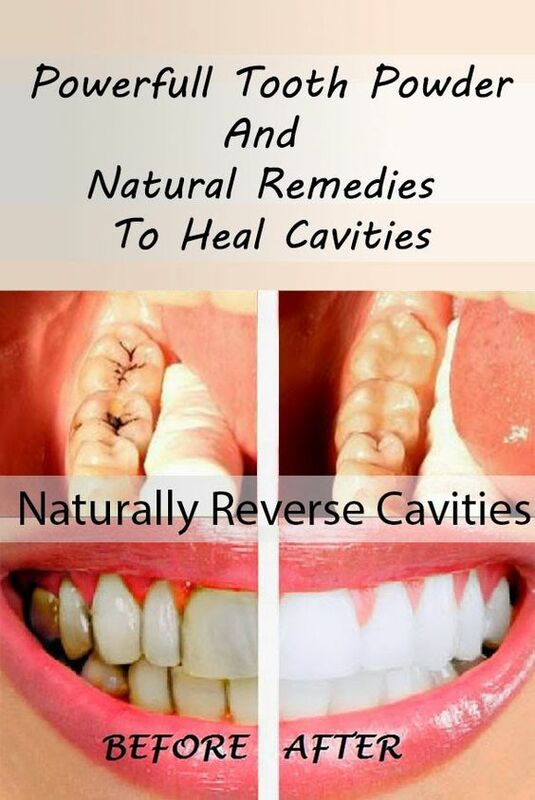 Make sure to not consume 2 hours before or after medications ,and wait an hour after taking bentonite clay to eat. Please always consult your doctor before you start any new health regimen. This entry was posted in Uncategorized and tagged #antiitchcreambentoniteclay, #authors, #babypowderbentoniteclay, #bentoniteclay, #bentoniteclaypets, #body, #calciumbentonite, #claydeodorant, #clayhairmask, #claymask, #claysickness, #claytoothpaste, #food, #health, #healthbenefitsofbentoniteclay, #healwoundsclay, #howtousebentoniteclay, #hypothyroidism, #medicine, #nutrition, #phbalanacing, #precautionsofclay, #remineralizeyourteethclay, #sodiumbentonite, #thyroid on February 18, 2017 by thehypothyroidismchick.